Summary: Central banks are deciding to get into the big data game. Learn how they use it and why it may be time for your bank too. Air-taxis sound a bit like the Jetsons (futuristic cartoon from 1962-1987). But, they could be coming sooner than you think. 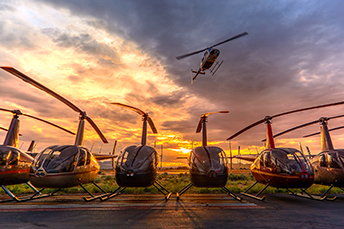 Uber has teamed up with Bell Helicopter to transform mass transportation and introduce air-taxis under their partnership by 2025. Bankers having to deal with even some traffic gridlock on a regular basis will welcome this news no doubt. That is big news and speaking of all things big, today we discuss where big data has gone in banking. The idea behind big data is to gather together tons of information that the bank has and comb through it to identify granular data that can then be used to create products and services catering to the needs and desires of targeted groups of customers. Around the world, central banks have been looking at it too. A survey from Central Banking Journal and consulting firm BearingPoint finds 58% of central banks in some way incorporated big data analysis into their policymaking in 2017. About 33% consider it to be a core component of policymaking - from enhancing supervision to identifying missing processes. One reason central banks are increasingly using big data is to provide real-time, information about the economy. A whopping 68% of central banks have launched projects over the past 12 months that involve big data. Not surprisingly, central banks have been making significant investments here too. Whether introducing new technologies to incorporate big data, upgrading existing systems, adding staff, or dedicating existing staff to handle data, central banks are materially increasing spending on big data efforts. When it comes to policymaking, 56% of big data projects among central banks are focused on the development of credit registers; 47% are dedicated to administrative sources; 47% focus on consolidation of internal systems; 21% to web scraping; 18% to consumer debt; 18% to social media; 3% to housing prices; and 3% to mobile phone data. One issue with such projects is data governance. Given just under 50% of central banks acknowledge some kind of data governance, it appears more work needs to be done. However, plans are underway to change this. One central bank said it had a master data steward as a pivotal role now. This person coordinates data management and supervises guidelines. Almost 75% of central banks have a strategy for collecting and managing data. Yet, with the profound size of data from various sources, quality is a huge challenge. The result: large amounts of unstructured data need to be scrubbed, which can be time-consuming but necessary for reliable outcomes. Given the growing importance of leveraging such data, along with the significant insights that it can provide, it is not unexpected that central banks have started to embrace it. Knowing this and on a much smaller scale, community banks may want to do some research to get a data plan in place down the road. Doing so will help ensure you won't be left behind on the heliport, as data will just continue to get bigger. A GoBankingRates survey finds reasons people cite for not having more money saved for retirement are: don't make enough money (40.1%), struggling to pay bills (24.9%), don't need retirement savings (10.3%), used retirement savings for emergency (9.9%), job doesn't offer retirement plan (9.2%) and prioritizing paying down debt (5.7%). FICO reports the number of debit cards compromised in 2017 increased by 10% over 2016. Over the past 3Ys, the rate of compromise has doubled for debit cards. However, the introduction of chip card technology for debit and credit cards has reduced point-of-sale fraud. Remind customers to check their balances frequently and be careful of remote ATMs. Royal Bank of Scotland has agreed to pay $500mm to settle claims of deceptive practices related to the issuance of residential mortgage securities with the NY Attorney General. Javelin Research reports the type of information compromised in data breaches in 2017 was: social security number (35%), credit card number (30%), debit card number (16%), online banking credentials (8%), checking account number (7%), driver's license number (6%), medical record or health insurance information (5%), debit card PIN (3%), credit card PIN (3%), child's social security number (2%) and school records (1%). Bain research finds US consumers ranked the following companies in order as those they would trust most with their money: primary bank, banks in general, PayPal, Amazon, Apple, Google and Microsoft. A survey by the American Institute of CPAs (AICPA) finds 80% of executives say they are upbeat about the prospects for the economy vs. 74% in Q4 2017.